Born in Minnesota to a mother, who was a nurse, and a father, who fought on the beach at Anzio and then re-enlisted in the Army after returning from World War II, 7 I was raised with a deep respect for the values and beliefs upon which this Republic was founded and for the natural rights and principles of democratic government outlined in the U.S. Constitution. 8 Like so many others who are grateful for freedom of thought and religion in this country, my abiding faith in a Creator of the natural order sustains me during my life’s journey and I believe Americans will not give up the natural rights and cultural values that define who we are as a nation without a fight. Earlier this year, when vaccine extremists and profiteers used a few cases of measles at Disneyland to attack freedom of speech, thought, religious belief and assembly, 9 my heart sank. It was painful to watch good people be demonized for simply criticizing poorly tested vaccines and inhumane one-size-fits-all vaccine policies. 10 11 Then, when dozens of pharmaceutical and medical industry-backed bills were introduced in multiple states to eliminate religious and conscientious belief vaccine exemptions so citizens could be tracked, discriminated against, segregated and punished for making vaccine choices that do not conform with government policy, I held my breath. Recently, I attended several FDA vaccine advisory committee meetings where I watched vaccine extremists and profiteers hijack the vaccine licensing process so future vaccines targeting seniors and pregnant women can be fast tracked to licensure without first proving safety and effectiveness. 16 17 There were only a few of us in that room representing the general public to voice opposition to exploitation of the most vulnerable among us. 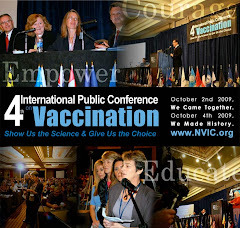 Even though scientists have known for more than a century that vaccines can cause seizures 30 and brain inflammation (encephalitis/encephalomyelitis) 31 32 33 and permanent brain damage, also called encephalopathy, 34 35 doctors working for government and with industry want to pretend that vaccines containing lab altered bacteria and live viruses, toxins, chemicals, foreign DNA and other contaminants 36 do not brain damage anyone, especially healthy infants. To activate and view hyper-linked references, please click here once and then click any superscripted number below to access a hyperlinked reference, or scroll down to the bottom of the article to view all hyperlinked references. anti-depressants and other kinds of prescription drugs 27 with side effects that include suicidal thoughts and violent behavior. 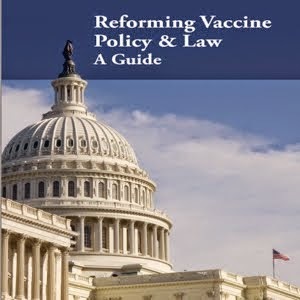 So when Congress appropriates $1 trillion dollars a year to the Department of Health, government officials employed by the CDC, NIH and FDA do not use that taxpayer money to conduct basic science research to identify children at high risk for vaccine injury, 36 or to compare the health of vaccinated and unvaccinated children to find out why parents consistently report that unvaccinated children are healthier and get higher grades in school than vaccinated children. 37 They do not use that money to find out why infectious microbes are evolving into more virulent and vaccine resistant forms after 50 years of mass vaccination policies 38 or to determine whether more children are developing genetic mutations after vaccination that damages their DNA. As mothers, we are responsible for our children's health. We are the ones who care for them when they become sick and unable to care for themselves for any reason, and we are the ones who stand with their fathers and weep at their graves if they die before we do.